Never fails, whenever I park it on the couch with my laptop, Shadow thinks it’s his personal scratching device. 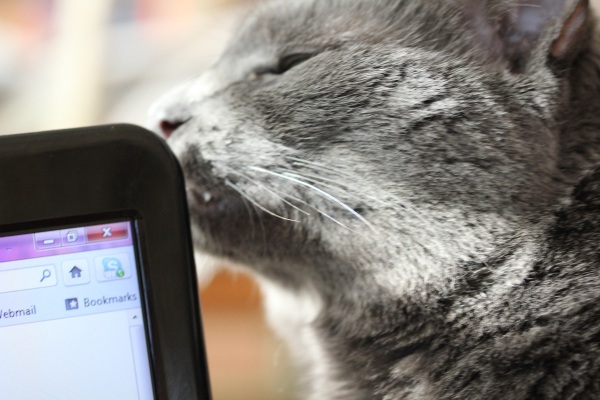 Using the air compressor to blast grey cat fur from laptops is a regular chore around here. He gets overwhelmed when both hubby and I are on the couch with laptops going back and forth. While Leela sits on the other couch pouting about not getting enough attention. 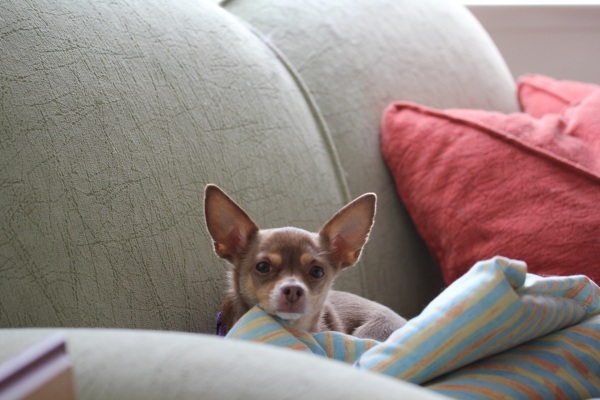 Or guarding her personal sofa. 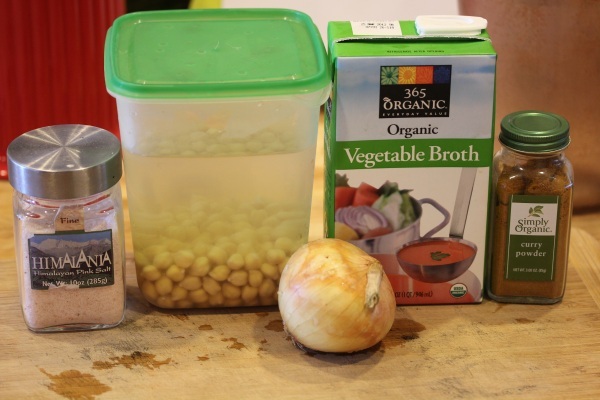 I just caramelized the onions and garlic in a little coconut oil, then added the chickpeas, broth, curry powder and salt to the mixture to simmer for 30 minutes in a medium soup pot. I cleaned out fresh ingredients that needed to be used up to add from the fridge while simmering – a very ripe tomato, slightly wilted spinach, yellow peppers and corn I got in last week’s farm box, a couple of tablespoons of nutritional yeast, and a dash of red curry powder for a vegan pheasant stew. Not sure why hot stew appealed to me when it was 94 degrees today, but I can be just special like that sometimes. Luckily it turned out perfectly, a little spicy kick, creamy, rich, and very filling. The chickpeas still had a firm texture, but weren’t crunchy, and carried the curry flavors and kick. 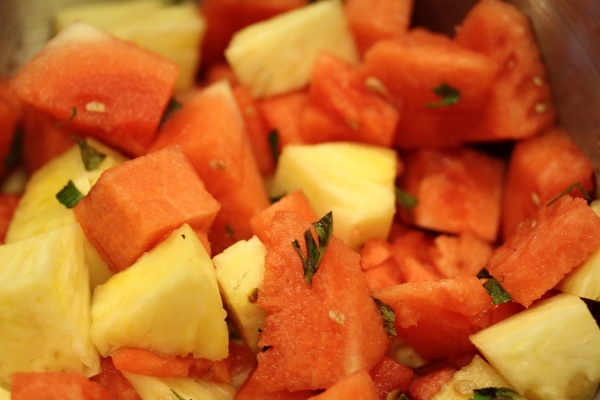 But I think the hot stew got to me towards the end and I threw together a quick dessert salad of fresh watermelon and pineapple chunks with chopped peppermint leaves, simple and refreshing. I promise the office reveal pics are coming soon, I’m still organizing and working on a cable management system. So frustrating on weeknights not having a lot of time for fun projects! What projects are you not getting enough time for? Lovin’ that stew! And please invite me over for that fruity cocktail! What projects are you not getting enough time for? = I have so many online/screentime/computer work projects that I want/need to do…never enough hours in the day to get them all done! True, or Vodka – yum! Yeah, I could really use about 10 more hours in a day now! So true on yard projects, I have some gardening goals I haven’t met yet! madison the cat does the SAME THING! haha! 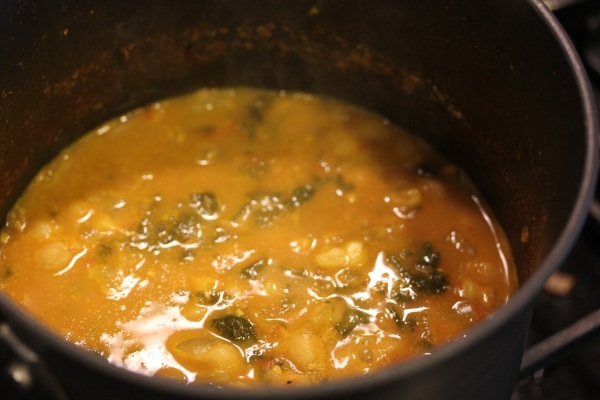 what a simple and delish sounding soup!!!! 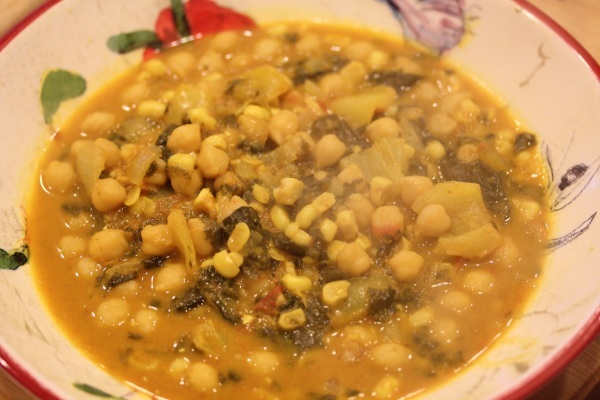 chickpeas are rocking my world as of lately =) love them like woah! What is a cooked stew doing in ‘The Raw Project’? I’m clearly looking for Raw in all the wrong places. Who would of thought The Raw Project was the cooked project. Hello, this site is about adopting a high raw, whole foods diet and there are a lot of raw recipes here too.